Tag me. Like it. Share it. Comment. Retweet. I admit. Social media can get quite cumbersome and overwhelming at the same time, especially for a non-profit who is already severely understaffed, overworked, and probably overlooked. And now you can add Pin It to your to do list. The new kid on the block is Pinterest, which everyone is buzzing about, but not every non-profit has jumped on the bandwagon…but should. With the fastest growing social media community and an audience of 90% women, non-profits should get to pinning, and do so ASAP. Just like with all of the other platforms, Pinterest allows you another opportunity to connect with and engage your audience on their terms. Unlike the other platforms, however, Pinterest is not about promoting your cause or organization. Instead, it’s about telling your organization’s story through imagery and promoting the lifestyle around it. Pinterest has also shown to drive the most traffic to websites – more than Facebook and Twitter. So imagine how it can rev up your digital fundraising game plan if used effectively and integrated with the entire social media strategy and overall marketing communications landscape. If you need more compelling reasons why your non-profit needs to be on Pinterest, check out What Pinterest Means for Your Brand’s PR Strategy. If you’re convinced and ready to add Pinterest to your repertoire, below are a few ways that you can use Pinterest to ultimately promote your cause and maybe even drive up online donations. Share your story and what your cause is about. If your cause is related to hunger, share images of feeding related events, volunteers helping at the food bank, or even staff sorting food donations in the warehouse. Don’t forget to invite your volunteers to also pin to your board. 90% of Pinterest users are women…use this as an opportunity to attract new female supporters by engaging on their terms. Remember that Pinterest is less promotional and more about the lifestyle. If your cause is related to autism or children in general, think about mothers and how your cause may fit into their lifestyle. Post images of quick recipes that moms can do with their children or invite Pinners to post videos of them reading a bedtime story to their kids. Don’t be afraid to promote other causes. Because of the high website traffic driven from, don’t be afraid to help advance the cause of other organizations. 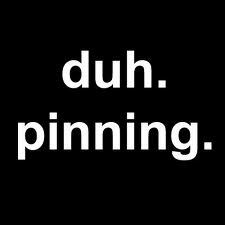 It may result in attracting reciprocal pins. Perhaps, create a “Non-profits We Love” or “One Love One Cause” board. Use Pinterest to be more transparent. Remember Charity:water and how they raised $250,000 on Twitter? What made their digital fundraising strategy so successful is that the organization was very transparent by posting videos of how the money raised was used. In the same way, pin images that show how funds are used. If your non-profit provides disaster relief, post images of medical supplies purchased and how it’s being used to treat the injured. Show your personality. Nothing engages supporters more than to personally connect with the organization and staff. People give to people. So show your human side. Read any books lately? Attended any recent events? Pin these images to your board. In fact, get all of your staff to show their personality.